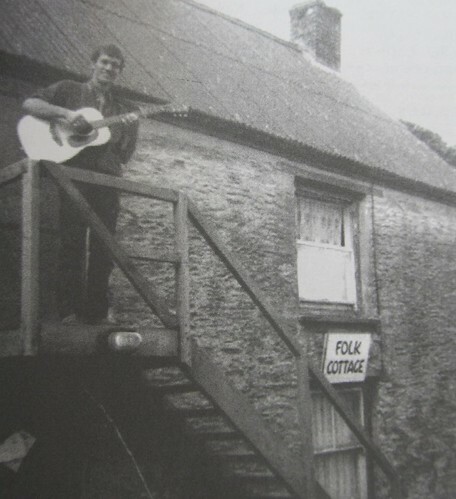 Located just outside Mitchell the Folk Cottage was a very important part of not just the Cornish folk music scene, but also played a catalyst and breeding ground for many nationally known artists. 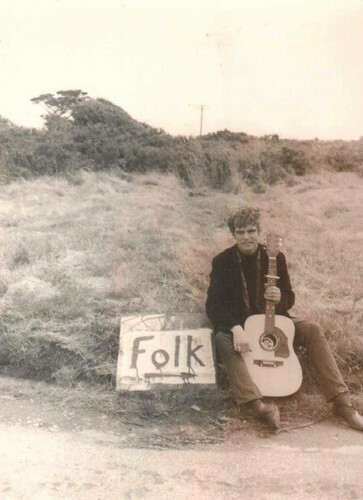 Graeme Hood's book on Clive Palmer, Empty Pocket Blues, contains a wealth of information about the folk scene in Cornwall including the Folk Cottage and is highly recommended - the book is available - here. John Sleep returned to Cornwall after University around 1961/62. At university he had been involved in folk music, morris dancing, etc. and was keen to continue his interest in the folk world. 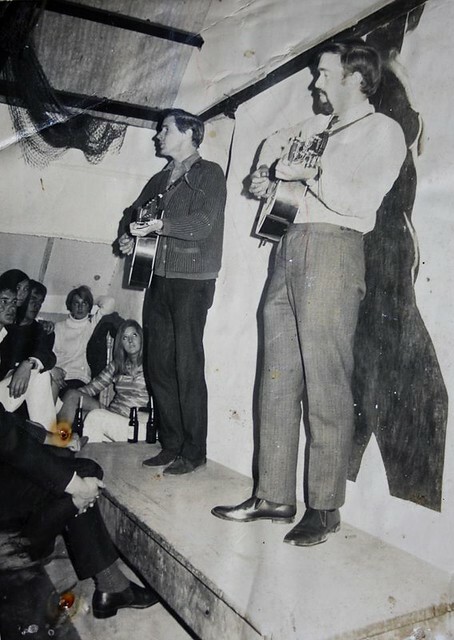 He got in touch with John Hayday who was singing at the Count House in Botallack and before long the pair were singing together and became resident singers at the venue. 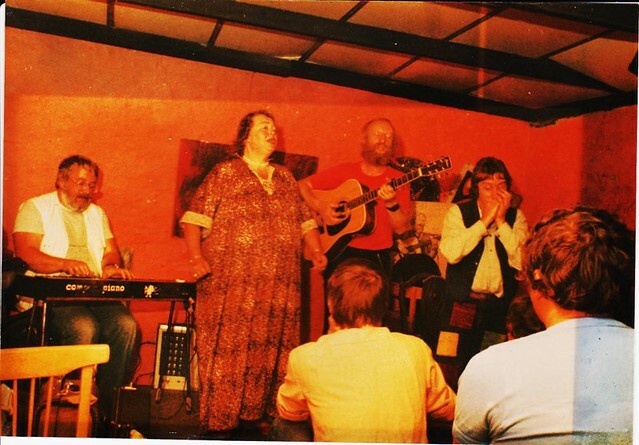 While performing at the Count House they became friendly with John Langford, a staple of the Cornish folk scene known better as John The Fish. 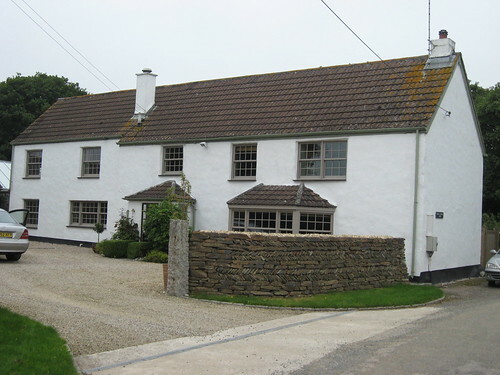 John was friendly with Willoughby Gulachson, who owned land and a cottage in Mitchell, just outside of Newquay. The two John’s were finding the long travel from Newquay to botallack tiring, especially as both were working full time, Sleep as a chemistry teacher in Newquay, and wanted to set up something closer to home. Willoughby was keen on the idea and let them make use of his property and John Sleep set about converting one of the out houses. Originally a granite farm workers building it was gutted and turned into a club around 1963. The downstairs area converted into a snack bar with tea and coffee facilities, along with an open fire. John Sleep also built a staircase that up to the performance area, which was a large room with rows of chairs facing a small stage. He also put in a fire escape. A little later on a large striking mural of a silhouetted lady was painted on the back wall, behind the stage. The venue could hold around 100 people, but had no inside toilet facilities. There was an outdoor toilet, known affectionately as ‘ye olde bog’, which has to be empted down a drain! The club started out as a Friday night only venue, with two sessions taking place through the evening. The later 2nd session would often be attended by a large crowd from the holiday industry in nearby Newquay, once they had finished their evening work. It was also a popular late night stop after drinks at the Plume of Feathers in Mitchell. 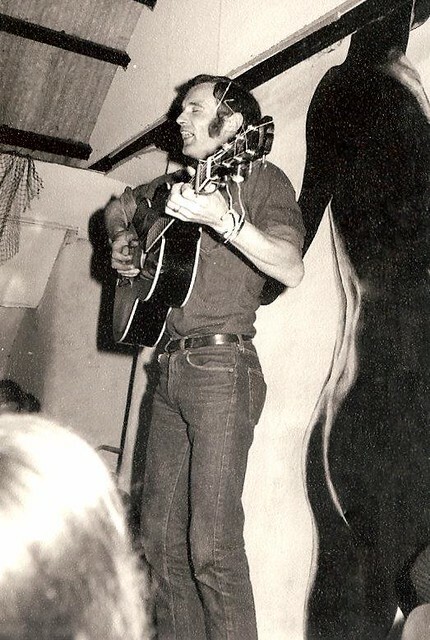 In the early days John persuaded many of the local artists to perform, such as John the Fish, Brenda Wotton, etc. usually with them playing for free. 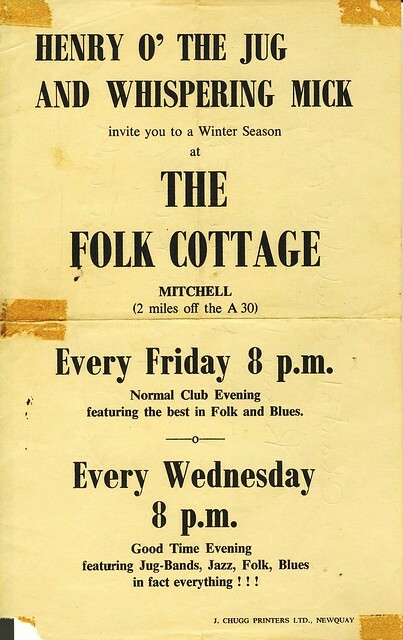 The name ‘folk’ cottage, was somewhat misleading as the venue also regularly hosted jazz, poetry, acapella, etc. A creative environment, the open mindedness of the audiences gave the performers the freedom to be creative and try out new ideas. In fact, the more trad folk acts didn’t go down as well with the regular crowd who expected something more original. Throughout its history the Mitchell did however remain entirely acoustic. As well as the more well known local artists the club played host to many of the local school children who would perform there. This inspired many of them to continue with their music long after leaving school. The audience at the club was very diverse, including patrons of all ages. 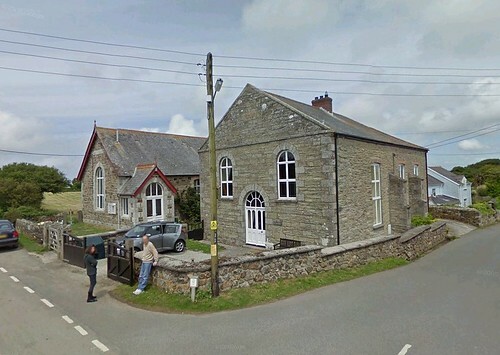 When the Count House in botallack closed Brenda would set up the club in St Buryan. Around this time there were also a number of other clubs forming throughout Cornwall in Bodmin, Wadebridge, etc. So there were more opportunities for visiting folk artists to play. This brought more performers into the county and the clubs would work together, sharing work around. Artists would often be booked to perform at a series of clubs and would ‘tour’ around the county, often with Brenda making all the domestic arrangements (which often meant organising which sofa they would sleep on). 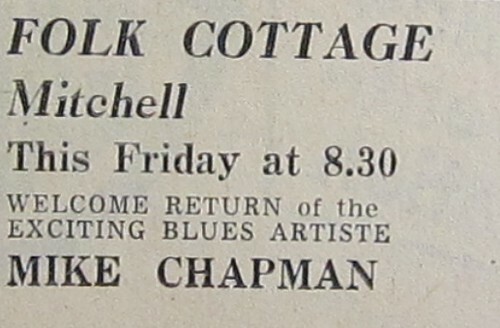 Michael Chapman would later comment to Ella Knight that after a gig you stayed in a cold hotel room, but after playing at a folk club you stayed with the club owner! 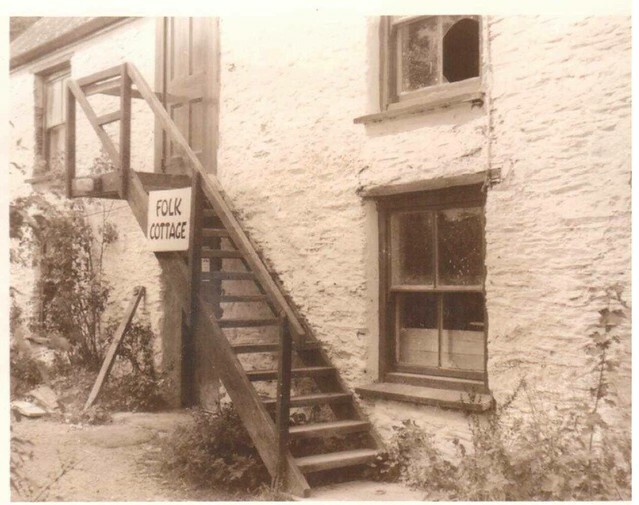 The Folk Cottage was far from a big money spinner for the two John’s and they were often unable to pay artists, often only covering their expenses. If they made any money on the door then the performer would get a cut, but it was understood that they may well be performing for free. Some early artists were Alex Atterson, Noel Murphy (who fondly remembers the free spirits who visiting the venue) and Pete Berryman, all of whom drew in good crowds. Peter was local and often stepped in to help when they were short of artists. Booking was a constant struggle for John and he was always grateful for any reliable regular bookings, however the two John’s were still doing most of the singing. This on top of day jobs and the stress of running the club put a lot of pressure on the pair. The summer period was a particularly fertile period with Newquay provided a lucrative trade. If you saw somebody in the area with a guitar slung over their back you could almost guarantee that they would end up at the cottage at some point! Posters were put up throughout the town, although they were often taken down straight away by the local council. Despite it being ‘the sixties’ and everything that came with that, the club was a very civilised affair. It had no liquor license, only serving tea, coffee and home made sandwiches (often made by John or Henry ‘the jug’ wife’s). Being located in the middle of nowhere it lent itself perfectly to being full of wild debauchery, with no immediate neighbours and the police located miles away in Newquay. However there was never a problem with drink, drugs or illicit behaviour. Most people arrived by car down the narrow lanes and spaces would soon fill up as people parked wherever there was room. By early evening the lanes would be backed up with cars, vans and bikes as patrons enjoyed the evening’s entertainment. If anybody wanted to leave after the first session quite how they got their vehicle out and drove home is anybodies guess! The cars also caused some annoyance to local farmers, expecially when the all-nighters started and they needed to get to their fields early in the morning! 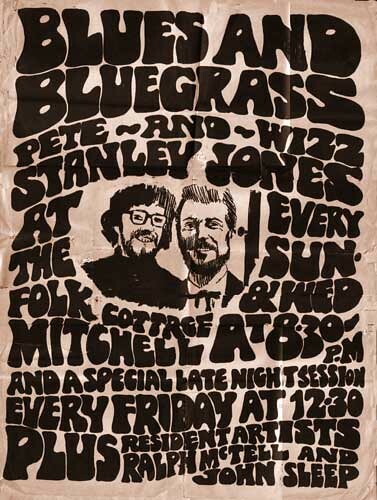 Around 1965 Wizz Jones and Pete Stanley arrived in Newquay from South London. After receiving a less than stellar reception in the pubs and clubs of Newquay they were looking for another place to play and wound up at the Cottage which instantly look to the pair, and they were soon going down a storm. This was around the time of the “16 Tons of Bluegrass” album (whose cover picture was presumably shot in the Newquay area, possibly the dunes of Crantock). Pete and Wizz put the word out an brought many of their friends down to Cornwall, including Ralph McTell who they knew from the Croydon area. Ralph would stay on the farm site and would become an integral part of the club. He would also write an instrumental “Willoughby’s Farm” influenced by his stay. 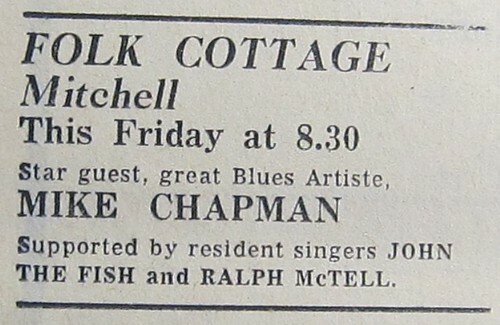 In the summer of 1966 Ralph played at the cottage with the Great Western Jub Band (including Mick Bennett and Henry Bartlett). John Sleep found out that Henry had been involved in running some clubs in London and ask him if would like to get involved in the cottage. Henry took over running the club, with assistance from Ralph, in September 1966. He introduced the late night sessions and also introduced posters around the town. 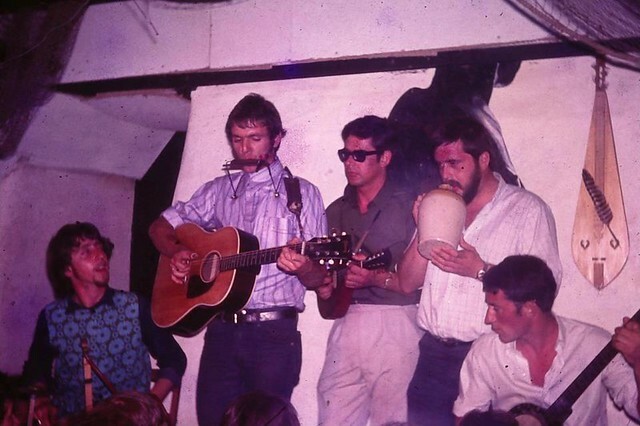 Henry moved in with Ralph in the caravan on the site and brought the jug band with him as resident band, while a dedicated group of floor singers helped keep the club going until bigger artists could be found. 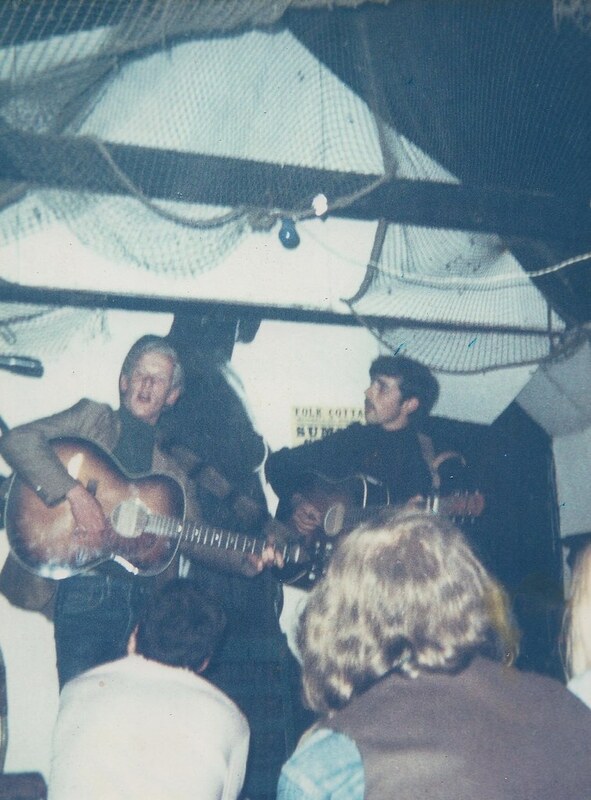 Ralph and Henry were soon bringing along a number of artists from outside of Cornwall, such as Michael Chapman, Gerry Lockran and Derek Brimstone, Jim Higgins, many of whom would go on to become regularly fixtures at the venue. The quality of performers was now increasing, although it still regularly hosted local and unknown acts. By Spring 1967 there were additional nights on Monday and Wednesday, later introducing an all nighter on Friday, fashioned on the famous nights at Les Cousins. With Newquay close by the summer tourist crowd allowed the venue to open on Mon, Tues, Thurs and Fri during the summer period. It remained closed on Saturday as this was Brenda’s night at Pipers. Out of season it would revert back to Friday nights only. Ralph and John Sleep were performing as resident artists, alongside the Great Western Jug Band, although he had handed over the reigns John was still a regular performer. The Folk Cottage started refelcting the developing folk scene and Ralph and Henry brought in a more diverse range of artists. They also started to allow guests to bring their own booze. Wizz and Pete were a regular draw and helped keep the crowds coming durign the quieter days outside the summer season. By the summer of 1968 Ralph was booking guests into weekly slots, sharing artists with Brenda’s Saturday night at Pipers. 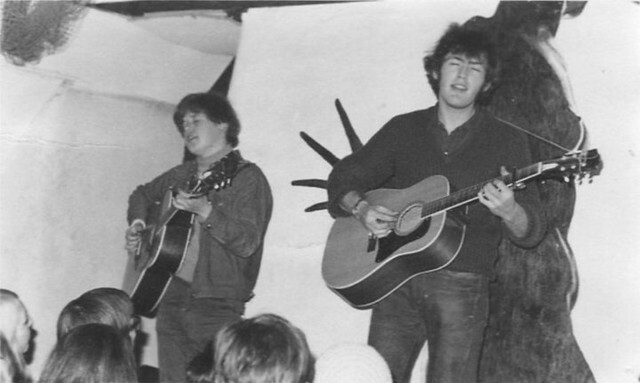 The venue was now playing host to visiting performers such as John Renbourne, Jacqui McShee, Time Hart & Maddy Prior, Jo-Anne Kelly and Bert Jansch. The folk scene was booming and John Sleep even mulled the idea of setting up a booking agency to handle the artists. By 1969 John Sleep was starting to take more of a back seat in the venue. John Battersby, a landscape gardener from Perranwell Station, would step in to support a lot of the work. Ella Knight was also a regular patron at the club and would also start to get more involved in the running of the venue. 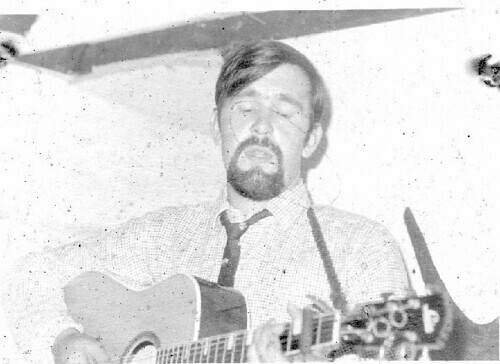 By the time 1969 came around Clive Palmer was a regular fixture on the Cornish folk scene. Prior to forming Temple Creatures and COB his band The Stockroom Five played a lot at the venue. He would also set up a Saturday night to rival Pipers, usually with the Stockroom Five performing. Capitalising on the local trade, Clive and Mick Bennett would drum up trades in Newquay, Clive’s car covered in posters and Mick trawling the beaches with his sandwich board and mega phone. The Stockroom Five would fold around September 1969 and the Saturday night slot was dropped. The pair would reappear as The Famous Jug Band, along with Folk Cottage regular Pete Berryman. Although based mostly around Pipers the band would play the summer season at the Cottage, always bringing in a good crowd. Around the turn of the decade Willoughby decided to sell up and move to Canada, which ended the Folk Cottage in Mitchell. A new location at the Church Hall in Rose, Nr. Perranporth with John Battensby and Ella Knight at the helm. The Methodist Church Hall was hired out for the weekly gigs and many of the regulars would still make the journey out to Rose. As with Mitchell the venue had no bar and provided the same eclectic mix of performers, again mostly acoustic although it did introduce a few electric guitars. At this venue John would book most of the performers, with Ella handling the other arrangements. Bert Biscoe also helped out serving food, as well as performing poetry and playing floor spots. Mic Mccreadie was also a regular helper and performer at the new venue. 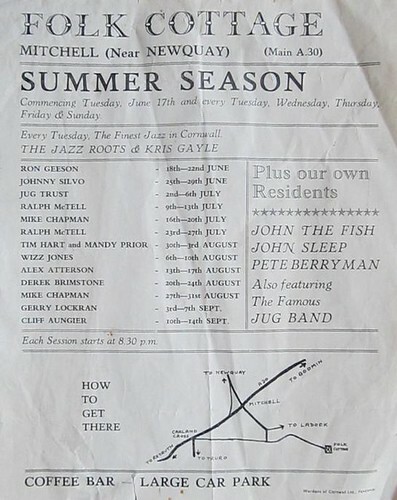 The club at Rose would still have a similar community feel to the Mitchell venue and played hosts to artists such as John the Fish, Mick Softly, Mike Silver, Alex Campbell and Decameron, who were always a popular draw in Cornwall. 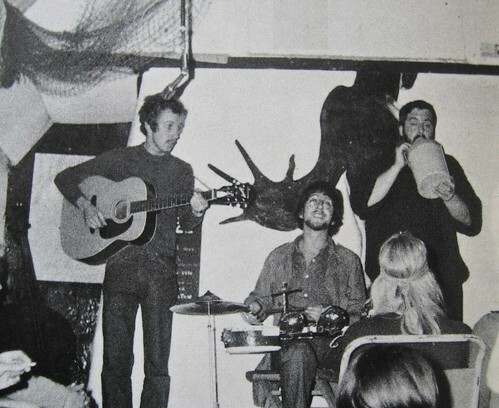 The club was visited by Andrew Means, a journalist for the Melody Maker, who gave the club a favourable write up, comparing it to the Alice’s Restaurant of Arlo Guthrie’s song. Other highlights included COB, Scarlet Runner, Stockroom Five, Crooks and Nannie, Temple Creatures and Jubble (featuring ex members of Jayfolk). Around this time the pair also put on a few concerts at the ancient Piran Round just a stones throw from the club. 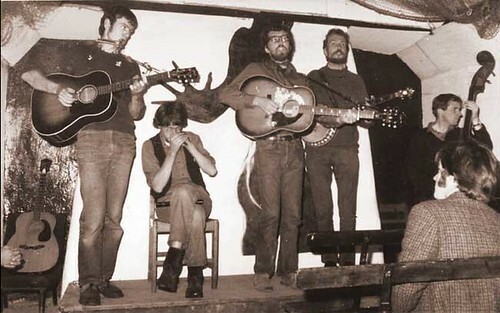 Amongst other Martin Carthy, Temple Creatures and Noel Murphy played here. Noel remembering the gig as one of the most memorable and magical he’d played. Despite having a good venue and an excellent roster of performers the club was forced to move, most likely due to the Methodist Church moving them on. 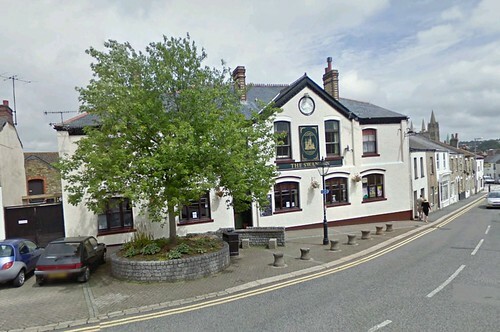 For a short time the club was drifting somewhat, being hosted at the Green Parrot in Perranporth and finding a temporary home at the New Inn in nearby Goonhavern. It did find a new home at the Swann Inn in Truro, where a very supportive landlord gave the club use of a back building. The central Truro location proved very popular and it was soon cramming in the crowds. The venue was also popular with the students from Truro School, who were very grateful to have a place to play locally. As in the past the club continued to provide anybody with the opportunity to get up and play, it gave everybody a chance to perform. The students from Truro School, including a young Bert Biscoe, relished this. Brenda Wooton and John the Fish, with Alex Atterson on Keyboard,and Roger Butleron Bluesharp, at the Folk Cottage, Swan Inn Truro. 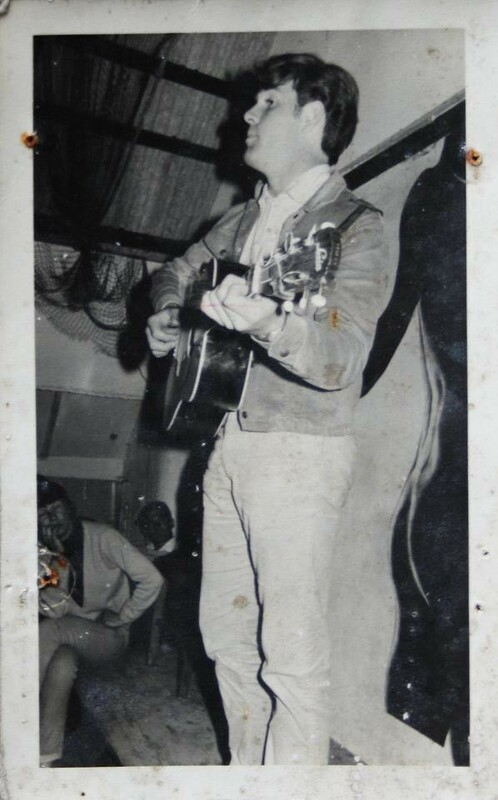 The club was still bringing in performers from out of Cornwall, including Jasper Carrot, who was paid £15 a night and always drew in a good crowd. It would continue successfully for around 10 years, but by then musical tastes were changing. The folk boom had long since died out and the punk explosion was in full force. Eventually the club just ran out of steam and Ella slowly wound it down. 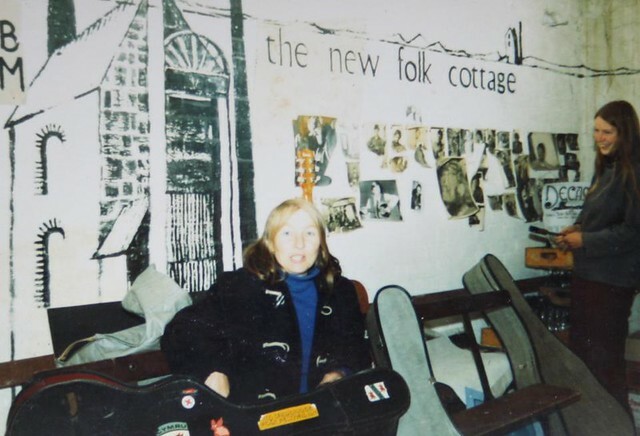 As well as helping to launch successful careers of many of the artists who played there original Folk Cottage in Mitchell would, and continues to, mean a lot to those who regularly made the pilgrimage down the windy lanes to an old cottage just outside of Newquay. 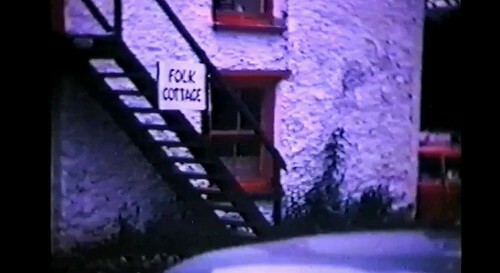 The building of the original Folk Cottage remains, but has been a private residence for the past 40 years.